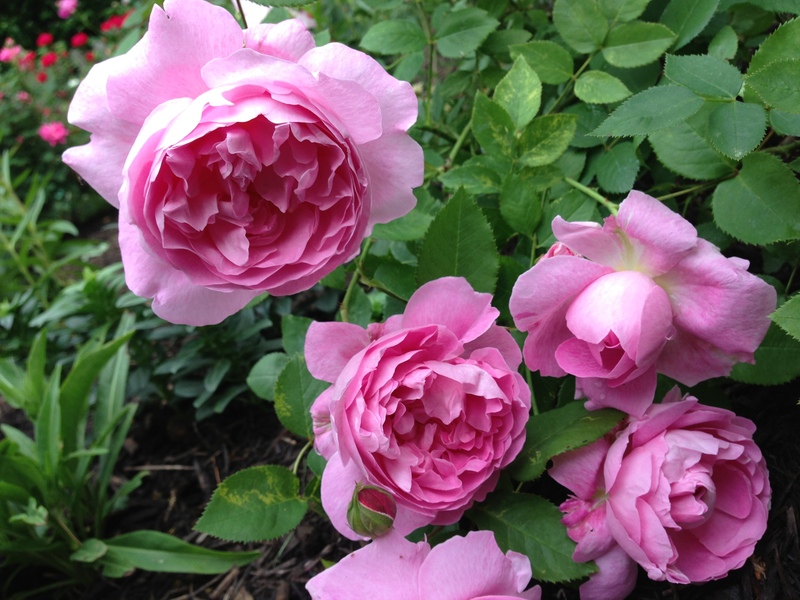 Mary Rose blooms have lovely old rose form and strong old rose fragrance-with a hint of honey says David Austin “Rose Nose” Michael Marriott. It is considered one of the most widely grown English Roses. 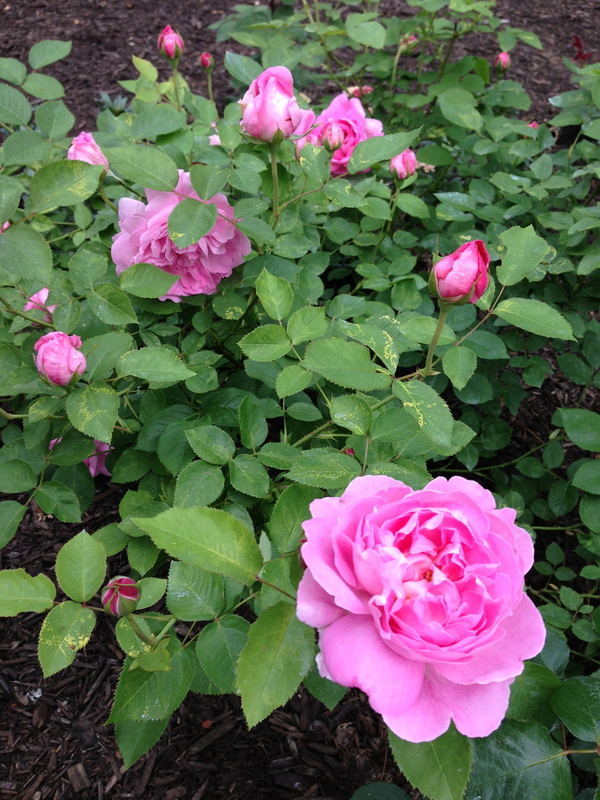 This rose is a very strong bloomer for me and does very well in my mixed rose border. I do keep my eye on her for signs of black spot. It can happen! 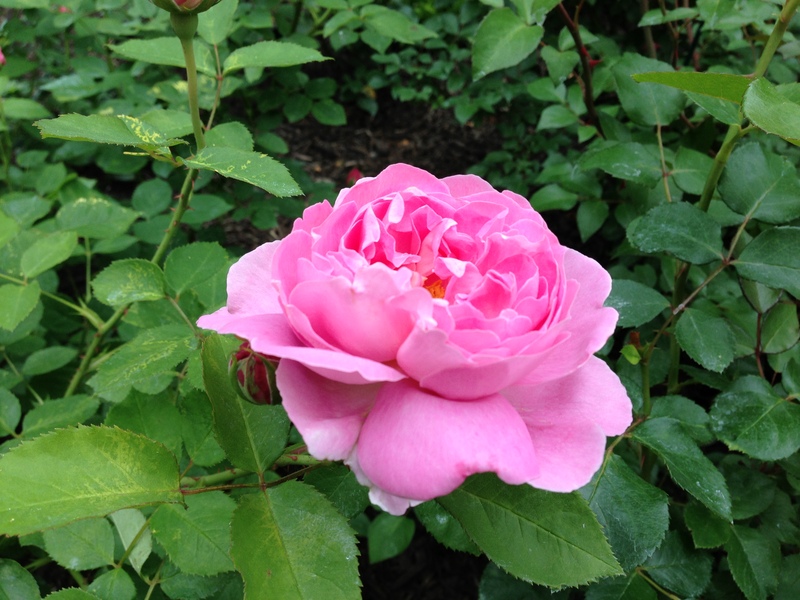 This lovely rose is one of the first to bloom in the spring and also will bloom way into the fall! Mary Rose is a dependable star! 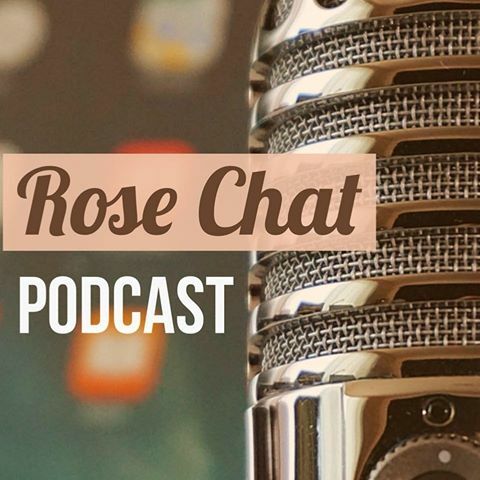 This month I will have my lessons on roses! Great challenge T! Mary Rose is one of the best Austin’s we have in our garden. I can see it’s a real winner in yours as well. Beautiful photos. She is a charmer for sure!